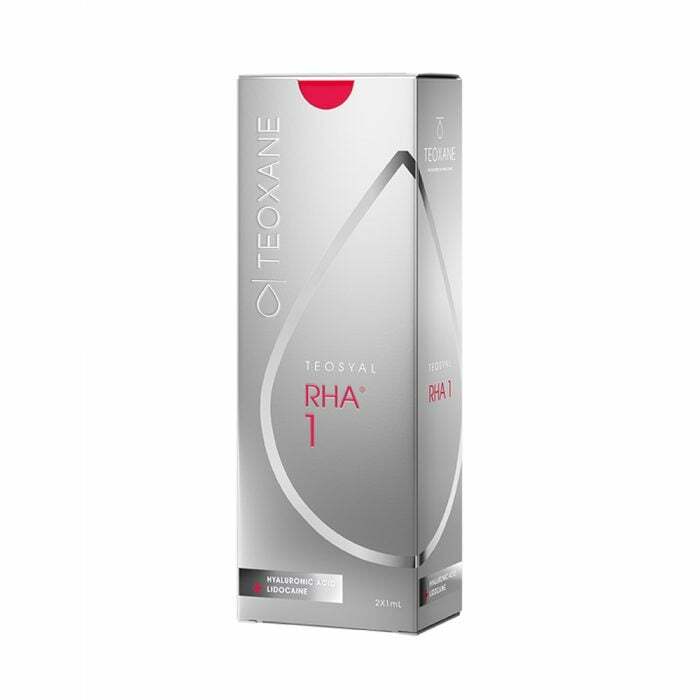 Teosyal RHA 1 is the first of four RHA formulas by Teoxane Laboratories, and is suitable for a number of minor to moderate signs of ageing on the face. These include circles below the eyes, fine wrinkles on the upper and lower eyelids and adjacent areas, and light neck imperfections. Using a patented formula, RHA 1 restores the hyaluronic acid levels in these areas using a compound that closely resembles that naturally found in the face. It offers soft, flexible support to the skin, for a smoothing effect that delivers firmness without hardness or excessive tautening of the skin surface. Teosyal RHA 1 is supplied in two 1.0 ml syringes for immediate application to the precise position and depth required, and versatile choice over how much product is delivered into the face.